ArchMove Collective is delighted to be part of Sydney Design Festival in 2018 supported by Powerhouse Museum! 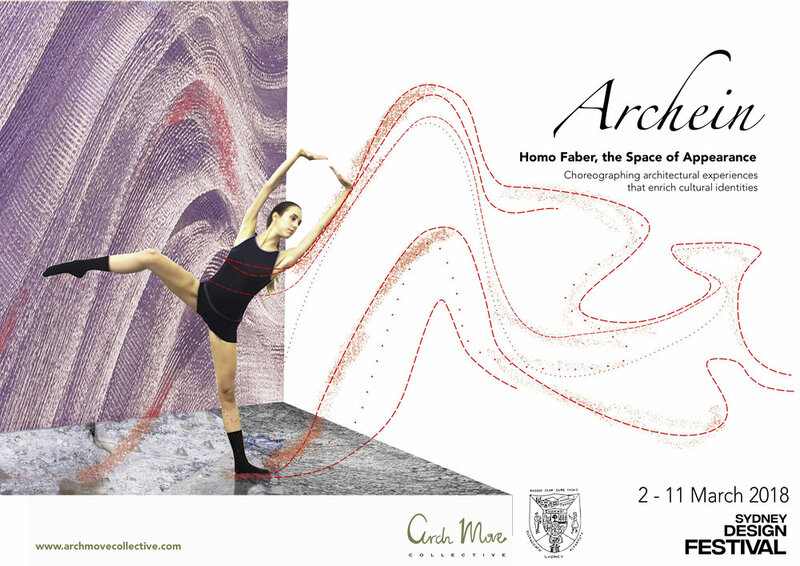 This year event, under the name of Archein, brings together architecture, light and choreography in an unexpected venue. The audience will discover a new culture identity in a mysterious location in Sydney: The Gure Txoko Basque-Country social club in the core of Darlinghurst, usually only opened to its members. Entering through an intriguing back door, the visitor will experience a journey from an abstract ephemeral installation and performance to the most traditional and folklore dinning room of the basque club. Gure Txoko. Entry from the back at the End of Little Surrey St, Darlinghurst.